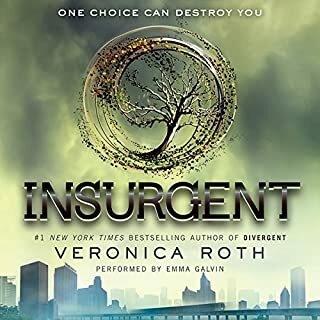 I just love this series and I'm so happy to have it as an audible as well. I read this series about a year ago or so and I'm just fell in love with the characters. Ednah does a phenomenal job at bringing the characters to life. I can't wait till all the books in series is in audible. They should make this series into a TV show or movie!!! I loved this book, the narrator Stephanie did an awesome job at making the characters come to life! She did such a great job with all the different characters and their accents. 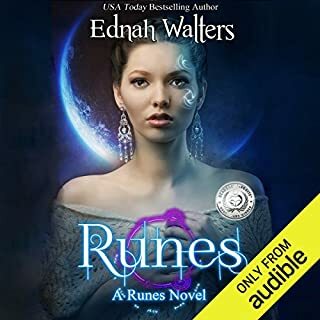 Runes: Raine Cooper is a 17 girl who was living a "normal" life till her father was in a plane crash and went missing then to top it off she gets a new neighbor the mysterious Torin St. James. Raine is drawn to him but she doesn't know why since she just met him. I would say Raine is confused in this book she's trying to figure out why she is so drawn to Torin and what exactly is he. She knows that he different but she isn't sure how. Along with Torin being her new neighbor there are also 3 new students as well in her high school that are like Torin. Andris, Milina, and Ingrid are "exchange" students and they are just like Torin. Andris and Milina are "boyfriend and girlfriend" but when Andris meets Raine he becomes charming with her and that piss' Milina off so she tries to kill Raine multiple times. Raine is put into some difficult position and she starts to question what is real and what isn't and all she has to go on is her gut feeling. 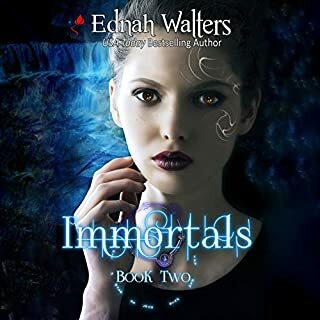 Ednah Walters is a great author I just love how she brought these characters to life. I also love the fact that she interacts with her readers. Seventeen-year-old Raine Cooper has enough on her plate dealing with her father's disappearance, her mother's erratic behavior, and the possibility of her boyfriend relocating. The last thing she needs is Torin St. James - a mysterious new neighbor with a wicked smile and uncanny way of reading her. 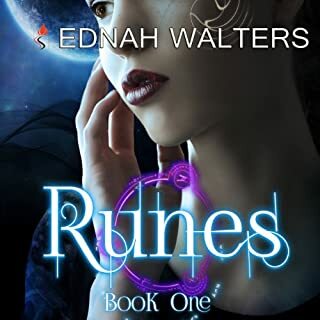 Raine is drawn to Torin's dark sexiness against her better judgment, until he saves her life with weird marks and she realizes he is different. But by healing her, Torin changes something inside Raine. I love the book and the story but the narrator voice just isn't what I thought the voice of the character to sound like. The narrator sounded to old n stuck up for this book. I LOVE this series n enjoy reading it over n over, lol. If you're into mythology and gods/goddesses then you should definitely get this bookk!